Annick Schramme, President of ENCATC, Professor of University of Antwerp. 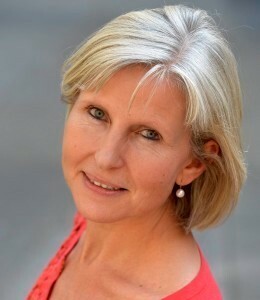 Annick Schramme dr (Belgium) is full professor and academic director of the master in Cultural Management (Faculty of Applied Economics) at the University of Antwerp and the Antwerp Management School. Besides, she is director of the Competence Center Management, Culture & Policy (University of Antwerp) and of the Competence Center Creative Industries & Entrepreneurship (Antwerp Management School and Flanders District of Creativity). Over the last years she has published about Arts policy in Flanders, creative industries, cultural entrepreneurship, the creative city, sustainability and the creative cities, public-private partnerships in the heritage sector and heritage policy from an international perspective, etc. From 2004 until 2013 she was also advisor-expert of the Vice-Mayor for Culture and Tourism of the City of Antwerp. Finally she is member of several boards of cultural organizations and advisory committees in Flanders and the Netherlands. In 2013 she became member of the Arts Council in the Netherlands. And since that year she is also president of ENCATC, the European Network in Cultural Policy and Management Education.